Sarasota Animal Hospital - Helping pets, one paw at a time. Helping pets, one paw at a time. We are champions for excellent care. We are AAHA accredited. Get your medications, prescriptions and more delivered to your home! Helping pets one paw at a time. Sarasota Animal Hospital is a full service veterinary hospital that focuses on providing excellent client satisfaction. We understand the joy that owning a pet can bring and realize that our role is to preserve this bond. Our mission is to ensure that clients are provided the same attention as our patients. We realize that there are many choices for veterinary care in Sarasota; however, we understand that great medicine and exceptional service will set us apart. 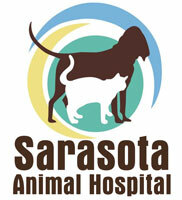 Sarasota Animal Hospital is your local neighborhood vet. In addition, we offer complete medical and surgical care as necessary during his or her lifetime. So, if you are new to the area or in the market for a client focused veterinary facility, please call our office today and speak to one of our client care representatives for a convenient appointment. (941) 371-5951. Click here to download Download the pet information sheet and hurricane kit checklist so you are prepared! New Client Form Fill out the new client form to speed up your first visit. Client Surveys See how you can get $5 off your next purchase with us. RX Refill Form Request your prescription medicine refills online. Change of Address Form Keep us informed of your new contact info! DayCamp & Vacation Boarding Express Check In Form Speed up the check in process of your pet's upcoming stay with us! 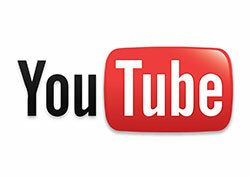 Check out our YouTube channel for informational videos for you and your pet! 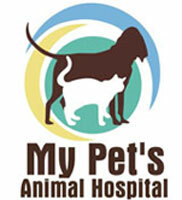 Please visit MyPet's Animal Hospital for your Lakeland, FL pet needs. Sarasota Animal Hospital © 2019. All Rights Reserved.